Climbing Mountains, Placing Description. Writing Tips from Pulp Literature Press. It kills me when I hear readers complain that there’s too much description in a book. In my experience as an acquisitions editor, most “unneccesary” description is only misplaced. 3 places readers need us to give them description. While the POV character is pursuing the story goal, it’s vital to show what’s going on. Not during the planning, not during the reaction to raised stakes, but during the active quest for the goal. When the reader is gagging to know what is in the letter, under the carpet, or outside the door. Make the reader wait with a bit of description. After the POV character has reacted to the raised stakes, there is a moment to remember what’s at stake. Descriptive writing is absolutely necessary here to remind the character, and readers, exactly why the struggle is necessary. A great example of description perfectly placed and timed to move the story onwards. Take a look at the scene in Dahl’s Charlie and the Chocolate Factory when Charlie has found a dollar and will buy a chocolate bar. Magic. Mel Anastasiou writes The Fairmount Manor Mysteries series, starring Mrs Stella Ryman, The Hertfordshire Pub Mysteries series, starring Spencer Stevens, and is Senior Acquisitions Editor with Pulp Literature Press. 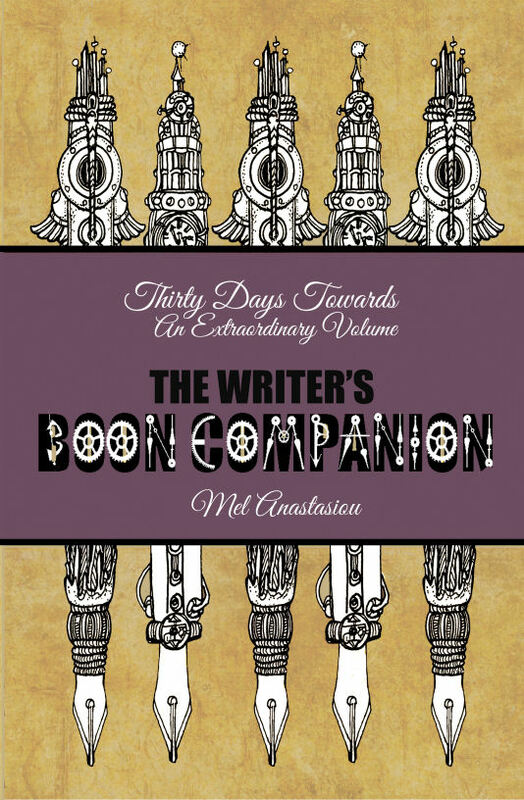 If you enjoy reading Mel Anastasiou’s writing tips, get her pocket-sized writing guide, The Writer’s Boon Companion: Thirty Days Towards an Extraordinary Volume, here.